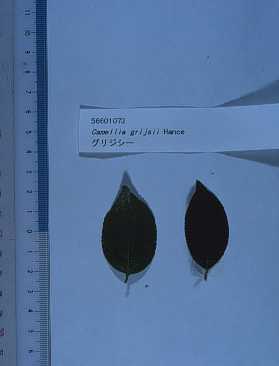 Typical clone of this species was introduced to Japan around 1980. Flowers:White,5-6 petals,2-4cm in diameter,fragrant.Filaments are not uniformed in length and united about two-thirds from the base.Flowering in December to February. 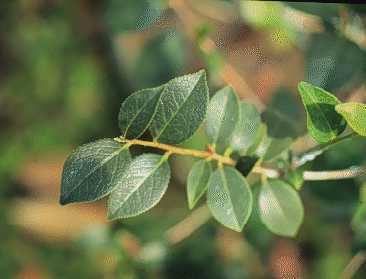 Leaves:Elliptic to broad-elliptic,small,3.5-5cm long and 1.5-3cm wide,deep-green,less shiny,impressed along the netted veins. Branches are slender and branching well.Flowers are small but floweringmany,so it can be used as pot plant.In Shanghai and Hangzhou in China, a double flowered clone that called "Ju hua cha(means Chrysanthemum camellia)" have been cultivated.